Where has all the rum cake gone? Since leaving Belize I have missed rum cake. The Utilan bakeries don’t carry it, and no other sweets will do. But I still have a big bottle of rum left over from Roatan… too bad the hotel doesn’t have a kitchen. I didn’t let that stop me. All you really need is cake and rum, right? 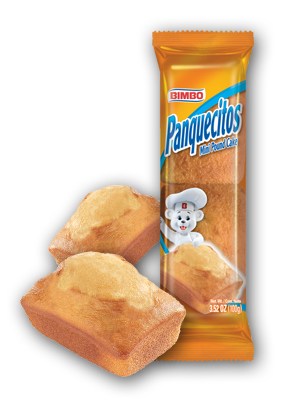 I bought Bimbo panquecitos–premade vanilla pound cake–in hopes of easy poor man’s rum cake. Back at the hotel, my friends Nico and Doug invited me for poolside rum and I decided it was the perfect time for an experiment. The guys were up to be guinea pigs. I split open the mini pound cakes and drizzled them with rum. Simple as that. A little stronger than a rum syrup but turns out it works pretty well, and I think is a WAY better way to imbibe rum than with Coke or pineapple. While munching, we about talked intense diving, Nico educated the old people about the latest in social media apps, and the boys sang Disney songs which was kind of awesome. I still have proper baking ambitions though–you know, the kind that involve an actual oven–and suddenly opportunity as well. So, there are lots of guys staying for a month or longer doing their divemaster certification who rent apartments instead of staying in the dorms. And it turns out, shockingly enough, that every last one of them is up for me coming over to cook in their kitchen. I’m already kicking around dinner ideas for three different bachelor pad dinner parties… and rum cake is most definitely on the menu. Think I should start a catering service or become the Cake Lady of Utila!! Say what you mean, mean what you say. I’m a woman of my word, especially when it comes to food. Tonight: baking a chocolate oreo and a red velvet cake for a birthday party. This entry was posted in Belize, Central America, Food, Honduras, Self-reflection by ladyasatramp. Bookmark the permalink.